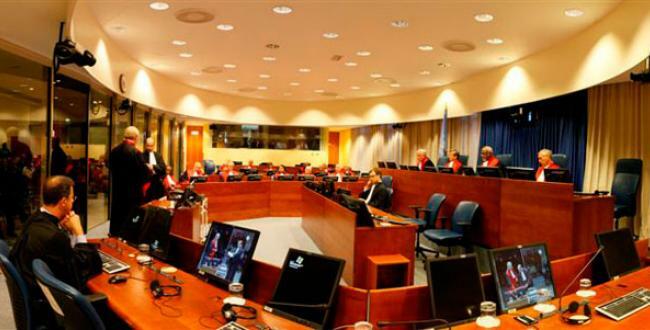 The ADC-ICTY Legacy Conference will take place in the Bel Air Hotel, The Hague, on 29 November 2013. The keynote speech will be delivered by H.E. Judge Theodor Meron, ICTY President. Speakers and moderators include The Right Hon. Lord Iain Bonomy, Judge Bakone Justice Moloto, Judge Howard Morrison, as well as renowned Defence Counsel. The conference is organised with the support of the Law Faculty of the Erasmus University Rotterdam. You can follow the ADC-ICTY Legacy Conference on Twitter – follow @ADCICTYLegacy. @ADCICTYLegacy aims at providing information about the conference and the publication that will follow. On 29 November, they will be live tweeting from the conference for those who are unable to attend. The schedule is available here. To register for the conference, please click here and for any other information on the conference, please contact Isabel Duesterhoeft at iduesterhoeft@icty.org. For information on social media issues relating to the conference, please contact Anna Katulu at akatulu@icty.org. In light of the ongoing Seselj drama following the disqualification of Judge Harhoff for his pro-conviction bias (see my earlier post here and recent developments here) and the controversial acquittals of Momcilo Perisic, Ante Gotovina and Mladen Markac by the ICTY Appeals Chamber, and those of Jovica Stanisic and Franko Simatovic at trial, I keep coming back to the question of compensation for acquitted persons for the years spent in detention. While this may not, on its face, be a popular proposition for human rights activists and a general public whose primary concern is ‘ending impunity’, consider the following figures. 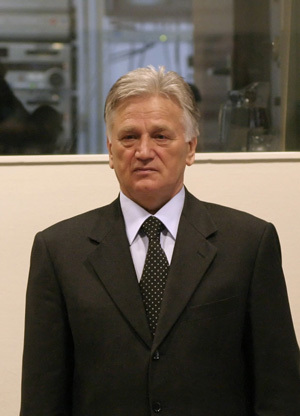 According to my calculations, Momcilo Perisic, former Chief of the General Staff of the Yugoslav Army, spent approximately 4 years, 5 months and 10 days in detention prior to his acquittal on appeal on 28 February 2013 (note that these figures are NOT including the periods of provisional release from the ICTY’s detention facility in The Hague, which in Perisic’s case amounted to an additional 3.5 years). 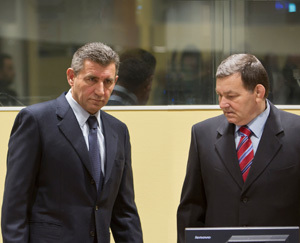 Ante Gotovina, former Colonel General of the Croatian Army and Commander of ‘Operation Storm’, spent approximately 6 years, 11 months and 12 days in detention prior to his acquittal on appeal on 16 November 2012. His co-accused Mladen Markac, former Operational Commander of the Croatian Special Police, spent 5 years, 7 months and 12 days in detention prior to his acquittal on appeal. Including time spent on provisional release (I couldn’t find the relevant detention figures that do NOT include provisional release), it took 10 years from the time Jovica Stanisic, former Chief of the Serbian State Security Service, was sent to the ICTY to his acquittal at trial on 30 May 2013. His co-accused Franko Simatovic, member of the Serbian State Security Service, waited 9 years, 11 months and 19 days for his acquittal at trial. Both men have been released pending the Prosecution’s appeal. They have also submitted arguments on appeal to the effect that the trial judgment was tainted by the bias of one of the sitting judges on the case, Judge Harhoff, but more on this later. Vojislav Seselj, former President of the Serbian Radical Party, has already spent 10 years, 8 months and 25 days in detention (although 4 years and 9 months were a result of his three convictions for contempt of court) as he awaits a trial judgment that may be fatally flawed. Closing arguments wrapped up in March 2012 and the judgment had been scheduled for delivery on 30 October 2013 but then Judge Harhoff was disqualified for bias on 28 August 2013. Since there was no reserve judge in this case, the acting President of the ICTY Judge Agius controversially appointed Judge Niang to replace Judge Harhoff on 31 October 2013, even though he was not present during the entirety of the trial itself. This is cross-posted from Justice in Conflict, where it was first published on 31 October 2013. 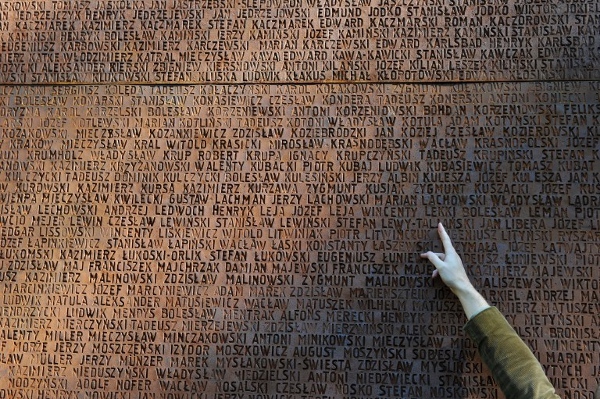 The Katyń massacre took place between April and May 1940 when 20,000 thousand Polish officers and officials were executed by NKVD, the Soviet special police. After decades of denial, Russia publicly acknowledged Soviet responsibility for the massacre in 1990. But the entire truth about what happened in the forests of Katyń has remained out of reach. Many believe Russia has not done enough in coming clean about the massacre. Last week, the Grand Chamber of the ECHR delivered its final decision in Janowiec et al. v. Russia (other comment here). The case before the ECHR concerned the quality of investigations conducted by Russian authorities into the Katyń massacre. These started in 1990 and ceased in 2004, following the decision of the Russian authorities to re-classify as “top-secret” 36 volumes of files and to discontinue the investigation. The applicants before the Court argued that Russian authorities breached their rights by failing to carry out an effective investigation into the death of their relatives and displayed a dismissive attitude towards the applicants’ requests for information about their relatives’ fate.